The Chinese New Year is a huge celebration and it is enjoyed by people all over the world. Of course, it’s huge in China, but it is also important for Chinese people who have moved to other countries such as the UK or Australia, and it is being picked up as a chance to celebrate and to embrace some traditional wisdom among non-Chinese communities too. The Chinese New Year is a time when families get together and spend several days together. Young Chinese people travel home to reunite with their families, and they spend the period of the Spring Festival relaxing and sharing positive thoughts. They exchange gifts, take time off work (and housework), avoid arguments and try to be positive, believing that the way that you start the year is the way that the year will continue. Their traditions centre around bringing health, wealth and happiness to the family. While even young Chinese people embrace those traditions, that does not mean that the world isn’t evolving. Younger Chinese people are, just like younger Australians, picking and choosing the traditions that suit their lives and altering the traditions that they follow to suit modern times. One major shift that people are following is prioritising health, wellness and sustainability. This is particularly important to young people in China, where pollution is claiming lives and costing the economy billions. Effective marketing involves finding a way to combine the traditional elements of the Chinese New Year celebrations with modern sensibilities. One great example of a company that has combined modern lifestyles with traditional Chinese culture is Lululemon. In 2018, they ran a campaign called “Practice takes Practice” which combined ten key parts of Chinese culture with ten lifestyle practices. While there was a modest ‘cultural appropriation’ backlash, overall the campaign was well received because it was tastefully executed and paid great respect to the Chinese New Year traditions and celebrations. The lifestyle brand understood that their fan base included people who are interested in health and wellness and that those people wanted a way to reconcile their health and wellness goals with their desire for luxury. Lululemon is not the only company that has managed to do this. Cathay Pacific found a creative way to combine traditional celebrations with the new cultural movement towards sustainability. According to the airline, there are 320 million Lai See packets given out every year in Hong Kong alone. Parents give these red envelopes full of money to their children, and people also give them to friends and to employees or co-workers. Just two per cent of these envelopes are re-used. 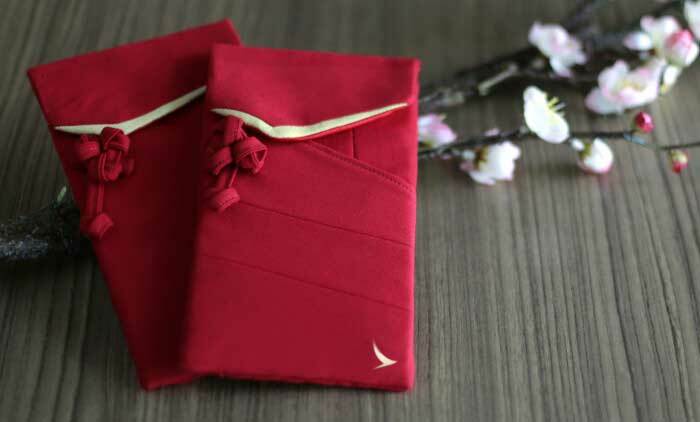 Cathay Pacific decided to add an eco-friendly twist to the Lai See tradition, by taking their old uniforms and making the fabric into reusable red envelopes. If you’re a small business owner or someone self-employed then you may be wondering how you can follow the examples of these multinational brands. 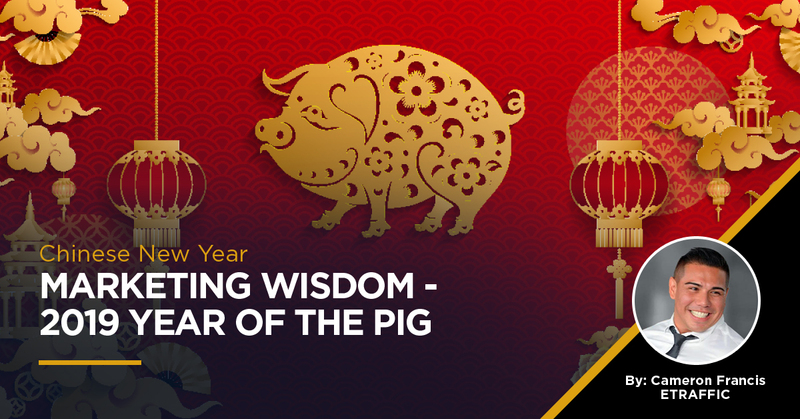 You may not be able to have the same impact as a huge brand, but there are a lot of things that you can do to acknowledge and take inspiration from in the Year of the Pig. According to Chinese tradition, people born in the year of the pig have beautiful personalities and have been blessed with good fortune. Pigs are artistic, refined, intelligent and well mannered. Those are all great personality traits for people to exhibit in marketing too. During the Chinese New Year period, people are encouraged to avoid negative words and avoid arguments. You could take those as words to live by for social media marketing too. Indeed, there is a lot of wisdom in Chinese fortunes. The saying goes that “fortune favours the brave”. Why not take that and use it as inspiration to get started with a marketing campaign? Make bold (but truthful) statements about your products. Stop procrastinating and write that blog post today. Get out there and share your enthusiasm about the coming year. If you are genuinely enthusiastic then your customers will pick up on that. One of the hardest parts of marketing and PR is finding a way to hook your campaign onto current events. The good thing about seasonal events such as the Chinese New Year (and Easter, Christmas, etc) is that you know that they are going to happen every year so you have plenty of time to prepare. Start thinking about the content that you want to produce, and make sure that content is ready to go well in advance. Remember that there is a lead time for print media (and that lead time can be substantial), so if you want to market offline you should start contacting editors several months in advance. With online marketing, you can move more quickly, but you will find that your target audience won’t give you much time to draw them in. You need to have a snappy headline, and high-value information to encourage people to read on. Start thinking about Buyer Personas. What sort of person is going to care about the Chinese New Year and also be likely to buy your products? Are they a Chinese grandmother who misses their loved ones and who would be interested in using software you wrote to contact their family? Are they a young Chinese professional who is single, looking to meet people and who might join your sports group to get fit and socialise? Perhaps they’re a young student who is not Chinese but is intrigued by their culture and traditions. Your brand’s position as a worldly, ethical company that cares about sustainability would make you appealing to them. The trick is to figure out who you are trying to reach, and then present your content with the kind of voice that makes them want to listen. Start this year with a marketing campaign that will make an impact.